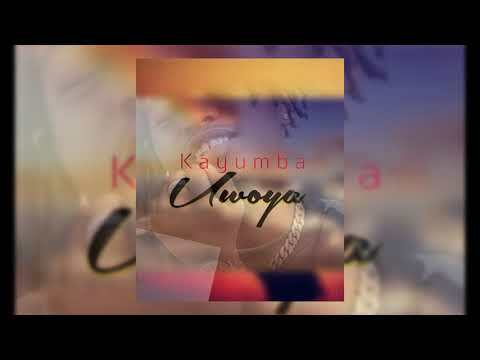 After about five months of silence – a complete disappearance from our radar – Tanzanian songster Kayumba reappears with a splendid jam titled “Uwoya.” This is just not another number off the mill but one that is currently buzzing in Tanzania. Apparently leaving the scene briefly in no way translates to leaving behind his skills and talents. The Tanzanian is as good as can be, a delightful singer any day. In his latest number he gives a hundred and one reasons to take him seriously as an artiste. His songs are not hurried. On the contrary he spends time on them and they ae released, they end up charming the public. Way to go for a serious artiste, I should say. “Uwoya” wouldn’t be a bad choice to hum even as you work. Go ahead and raise an “Uwoya” chorus. Stream and download “Kayumba – Uwoya” below, share on social media and join the conversation by dropping your thoughts in the comment section.